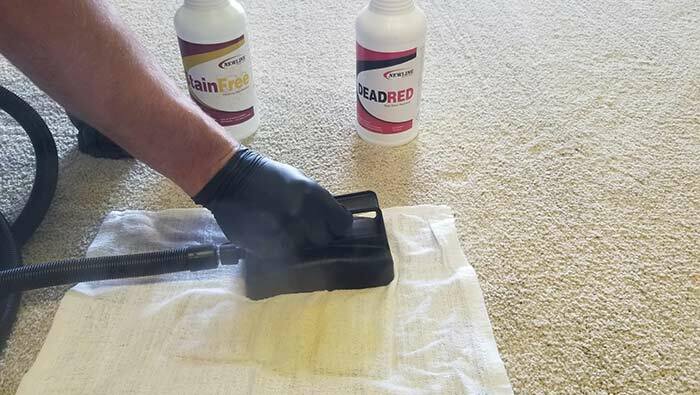 If you have red stains on your carpet, Hydro Clean can remove them. When kids spill Kool-Aid and other red juices, our highly trained cleaning technicians can remove red stains from synthetic dyes. We use a unique red neutralizer that is heat activated with a steamer. The heat accelerates the reaction and causes the red dye to become transparent. We prefer to use a steamer instead of a clothes iron. Many companies use a clothes iron, but that is risky. 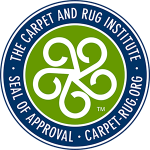 There is a greater chance of actually melting carpet fibers causing permanent damage or starting a fire. Please avoid red stain removal by yourself. Using internet remedies or store-bought cleaning products can set the stains and make it very hard or impossible for a professional to get the stain out. If the stain is untreated before we arrive, the chances of complete removal are dramatically increased. Also, some of the most popular store-bought products are notorious for bleaching the color out of your carpet and rugs. It may remove the stain, but it can also remove the color, leaving a very noticeable light spot in the center of the room. 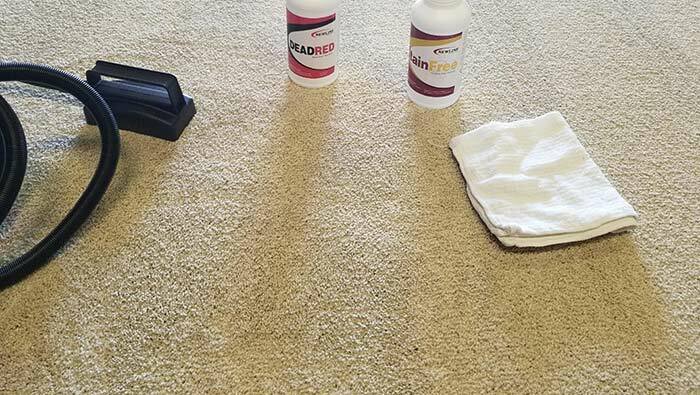 Avoid any carpet cleaning product that contains the word “OXY.” These products bleach the carpet and create a problem harder to deal with than red stain removal.